The Wynne’s Wabbit Hutch is a two tier hutch, handmade from pressure treated timber and screws rather than nails giving added strength and durability. Easy to clean and maintain, this appealing hutch is a great addition for any garden! 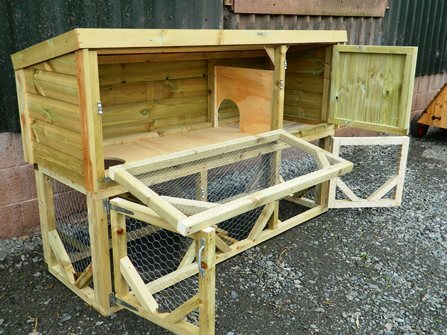 Its perfect for your Rabbits or Guinea Pigs and can even be adapted into a poultry coop or Ferret house!! 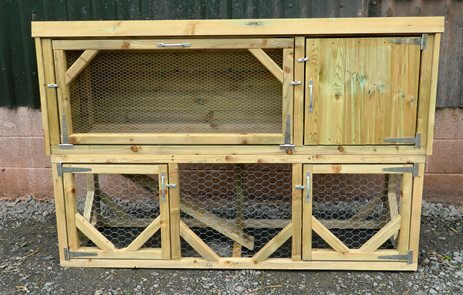 Once purchased, Wynne’s Wabbit Hutch can either be collected, or delivered either via our onsite carpenter or via a haulage company.